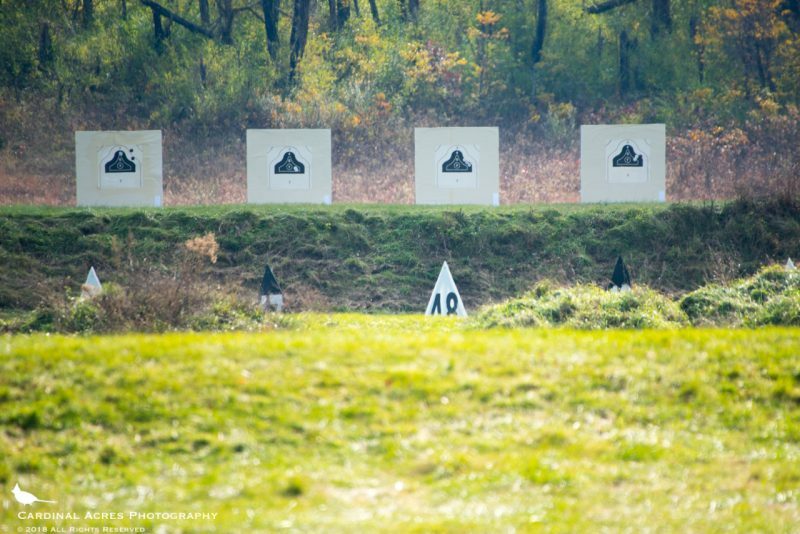 The 2nd Annual Marty Brown Rifle Match was held on Range 3 at Camp Atterbury Joint Maneuver Training Center over the weekend of Nov. 3-4, 2018. 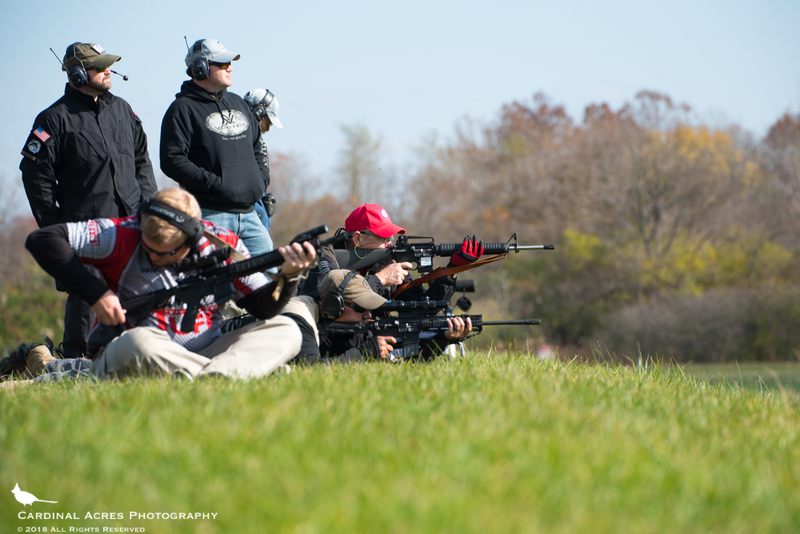 Fourteen participants brought their rifles in an attempt to win one of two trophies especially constructed for the event. 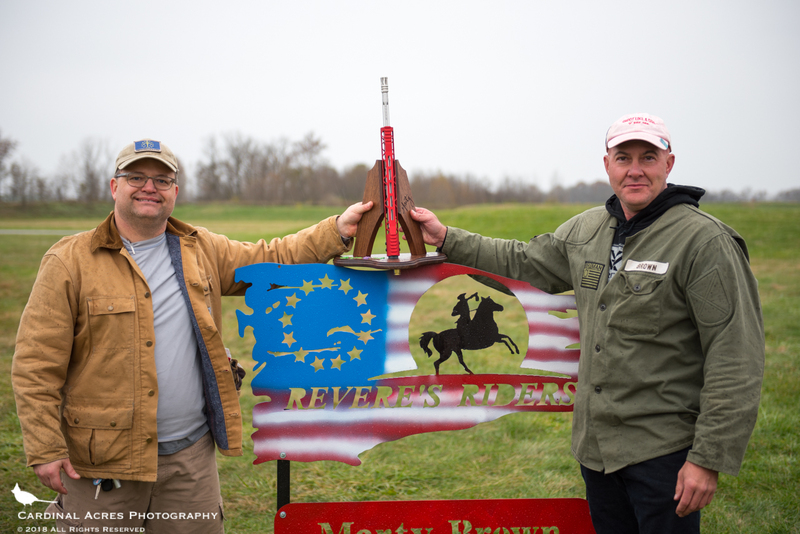 The “High Score” and “Tactifail” trophies were custom made by Revere’s Riders instructor and volunteer Kevin Fitz-Gerald. 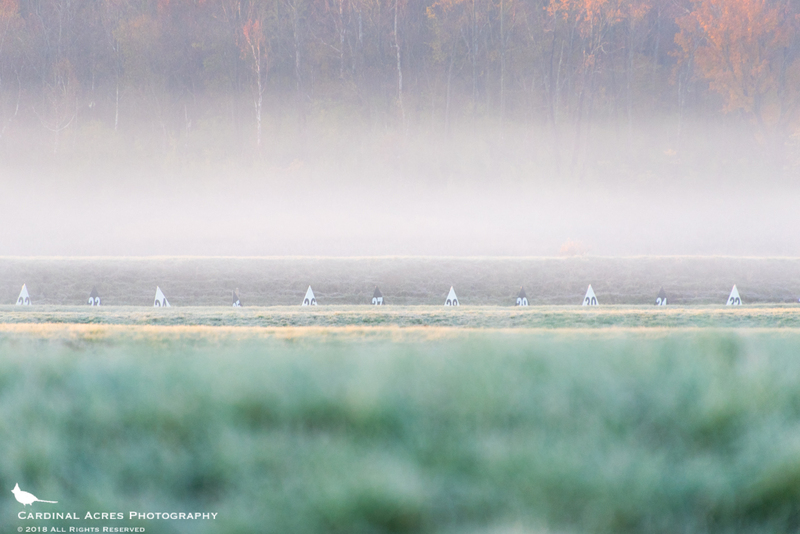 The morning broke cold with frost and fog on the range. When we arrived in the morning to pull our range assignment, we were informed by Range Control that no live fire would be allowed until 1130. Apparently, someone with the initials DJT would be flying out of Indianapolis in the morning…sigh. That gave us plenty of time to prepare our targets. Each target backer was stripped of old paper and staples and made ready to accept the wallpaper paste and new paper backer plus target. We discovered that the US Army had no paper backers on site so we made do with several paper targets flipped upside down; it worked fine. Only 8 target frames were on site as well which would have presented difficulties if we had more participants. The huge storage shed at Range 3 was oddly empty of most anything useful including even a broom (but there was a dustpan)! The targets used were the USMC Dog target with scoring rings and a V bullseye. These are 26″ wide by 19″ high. Scoring was via the standard Revere’s Riders “hits count” methodology (any hit on the target scores 1 point) and hits on the V-ring were recorded for use as a tie-breaker. After lunch we divided into two squads for the afternoon. One squad would work the target pits while the other shot their sighters at each distance and ran a qualification. Starting at the 100 yard berm, two rounds of 3-shot sighters were fired after which rifles and equipment were moved to the 200 yard berm. Two rounds of 3-shot sighters were repeated at 200, 300 and 400 yards. 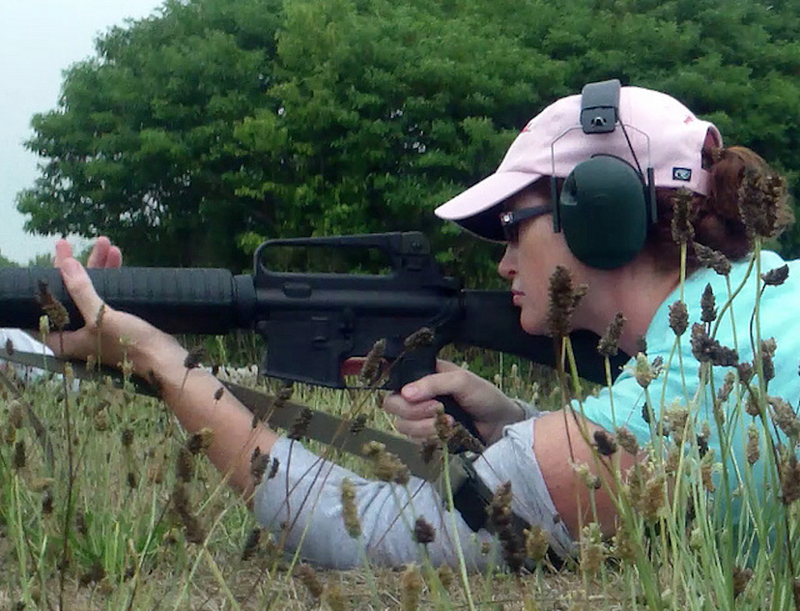 After sighters at 400 yards, we prepared to shoot a Revere’s Riders Rifle Qualification Test. At 400 yards, 10 (one magazine) rounds are shot slow-fire from prone (allowed time of 5 minutes); at 300 yards, 10 rounds (one magazine of 2 rounds, one magazine of 8 rounds) are shot rapid-fire transition from standing to prone (allowed time of 70 seconds); at 200 yards, 10 rounds (one magazine of 2 rounds, one magazine of 8 rounds) are shot rapid-fire transition from standing to seated (allowed time of 60 seconds); finally, at 100 yards, 10 rounds (one magazine) are shot slow-fire standing (allowed time of 2 minutes). The squads switched places and the same progression was repeated. At this point, we were late enough in the afternoon light was beginning to fade. The decision was made to call it a day. Several volunteers went to the “All Ranks Club” on base for dinner. The “Blues Burger” was a definite thumbs up (Gopher ate two; add bacon for the win)! 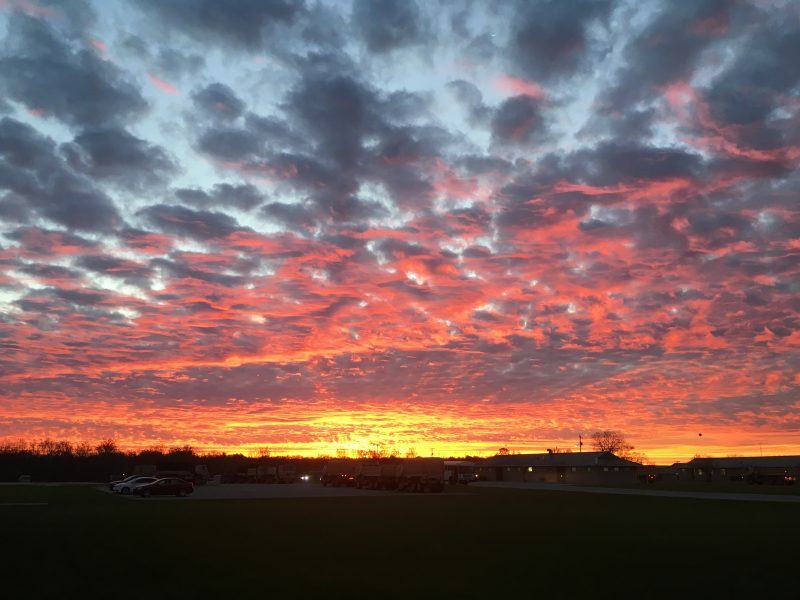 We all woke to a glorious sunrise on Sunday morning. After a quick breakfast, we got right to work. Those that shot first on Saturday now worked the target pits and vice-versa. We went through the same progression of sighters at each berm “going out” followed by a qualifier both “going in” and then “going out”. The wind was full value or better in the morning and varied in direction from approximately 45° left to 45° right. This was undoubtedly due to the front coming in from the west that would bring rain late in the day. All shooters appeared to handle the wind with no problems (really only an issue at 400 yard and possibly 300 yard berms). After the morning squad finished their two qualifiers, they were conveniently at the 400 yard berm and adjacent to where the vehicles were parked to retrieve their lunch (if needed) and stow their rifles. After a quick lunch, the squads switches places for the afternoon. For the afternoon, the wind abated somewhat but seemed to become more erratic in direction. Sighters and two qualifiers were run in an identical fashion to the morning squad. When the afternoon squad finished their qualifiers it was time to clean up our target backers. While this sounds tedious, it actually is the perfect time for folks to kibitz about how well they did (or didn’t) do with their shooting and to just enjoy some well earned end-of-the-day camaraderie. Using wallpaper paste to attach your targets to the backers instead of staples or some other form of more permanent adhesive (yuck!) 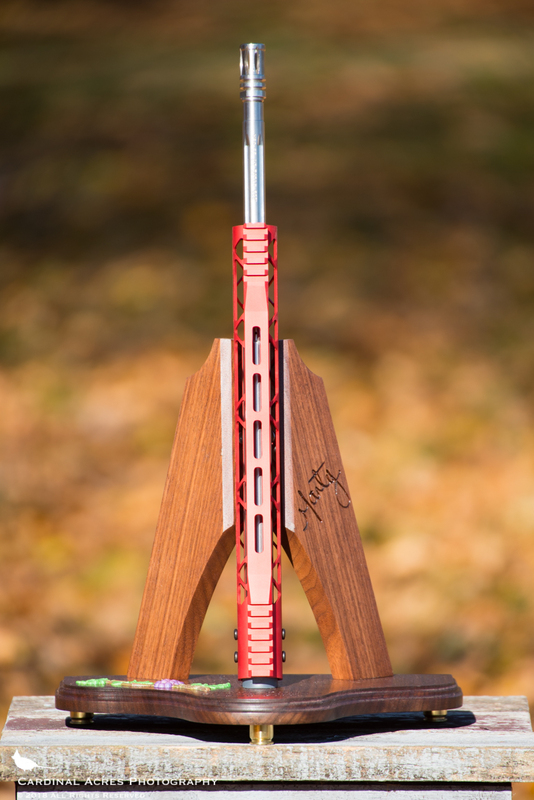 also helps as target removal from the backers is simplified. After some discussion, it was discovered that a three-way tie existed for High Score necessitating going to V hits to break the tie. At the end of the weekend, Matt Hill earned the High Score with a 37-11V. 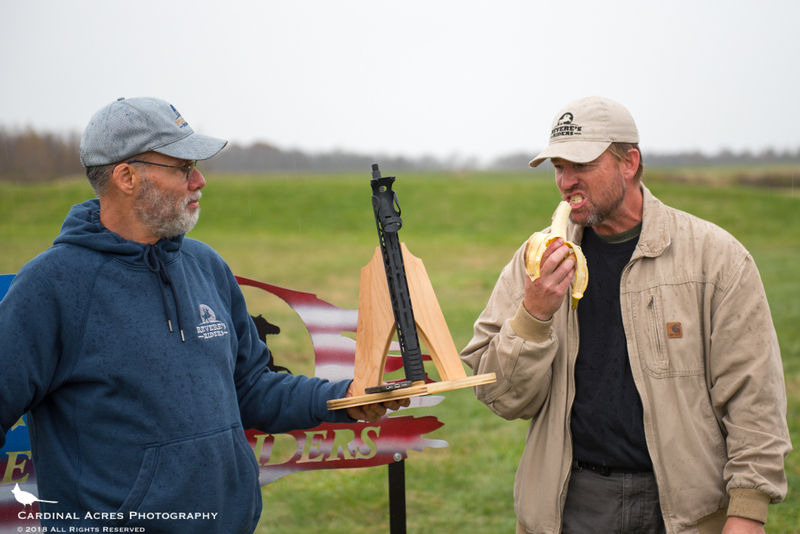 Bruce Williams was presented the Tactifail trophy (with banana in the “tactical banana holder”) for some unknown reason (perhaps it was the muzzlebrake that everyone complained about?). Hopefully, Marty was looking down on all of us enjoying a perfect fall weekend and doing what she loved in celebration of her life. She was definitely in the thoughts of all of those in attendance. 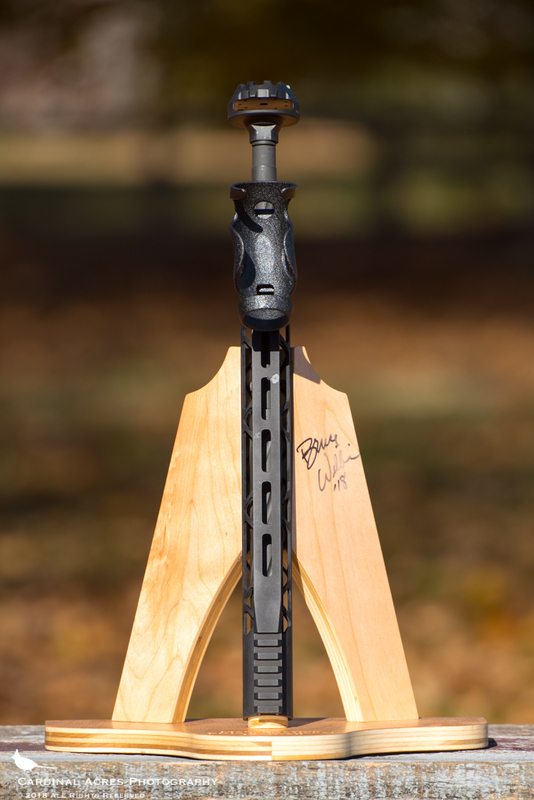 All in all, we’re just happy to have access to such a world class shooting facility.